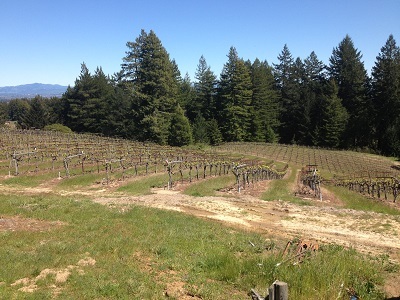 The Weeks Vineyard is planted to 12 acres of Chardonnay and Pinot Noir, in the hilly western portion of the Green Valley of Russian River Valley AVA. This mostly southeast-facing ridge-line property is set on Goldridge sandy loam soils at an elevation of 650 feet. Far Niente Vineyards purchased it in November of 2013, adding to its portfolio of Green Valley and Russian River Valley vineyards to support its family of premium labels including, Far Niente, Nickel & Nickel, Dolce and its newest program, EnRoute Pinot Noir.